And so, when I first discovered the GDEMU, a solid-state replacement for the Dreamcast’s GD-ROM drive, I was excited to get one. Because it solves none of my problems. The GDEMU is exactly as big as it needs to be. I am, apparently, an excitable but inattentive shopper. 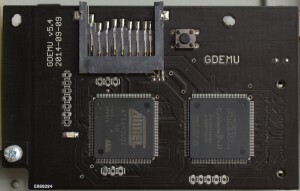 But the GDEMU is amazingly great. It’s a pop-in replacement for the GD ROM drive, requiring nothing more than a Phillips screwdriver to install, and an SD card to put your games on. Games don’t load appreciably faster, but the convenience factor is awesome. Start up the Dreamcast <beeeeeeeeep> and select from a list of games, each showing the details (region, VGA compatibility, graphical disc image) and seconds later the game is loading up. 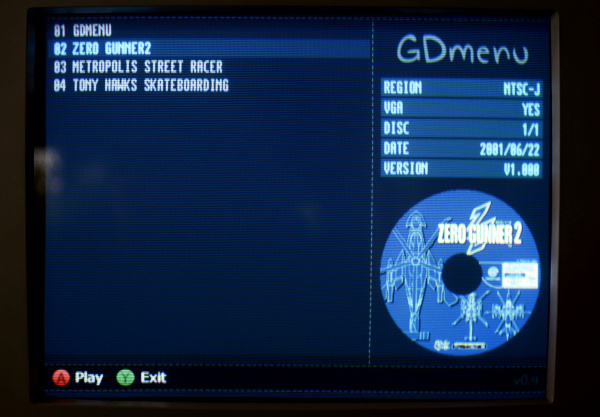 This menu isn’t actually included with the GDEMU, but it’s basically mandatory – Be sure to install it! I love it. It’s got me playing the Dreamcast again, scouring the internet and downloading disc images of the games I already own… Because, quite frankly, if I thought it was worth playing I’d have purchased it years ago. The fan is the last moving part. And it’s got me thinking about the Dreamcast in a more critical light. There really aren’t too many amazing games for it. If someone put Zero Gunner 2 in my Dreamcast and glued the lid shut I wouldn’t be very sad about it. Most of the Dreamcast library that I would ever want to play is filled with ports. There’s very little excellent original content, at least in the genres I enjoy. But that works in my favour too. With the GDEMU I can shove every good game I own into a 32GB card and never have to open the lid again. And I don’t need to jump through hoops trying to make large-capacity SD cards work. 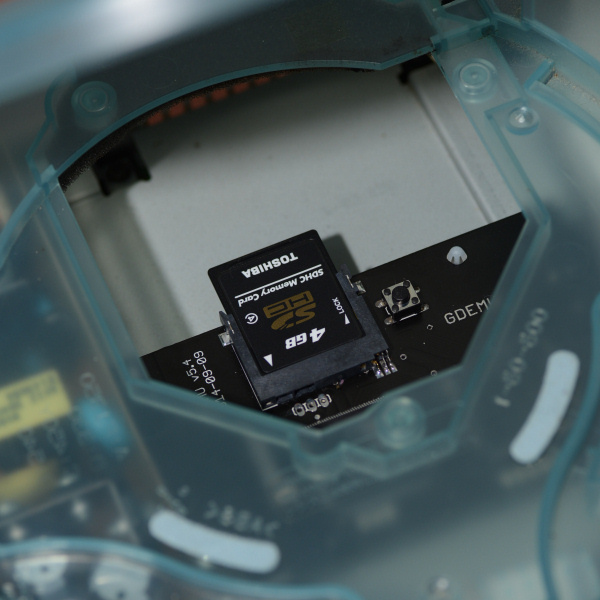 By design the GDEMU doesn’t support SDXC cards or their ExFAT filesystem, these features would add considerable extra cost. Only FAT32 formatted cards will work, and Windows refuses to format them, complaining that anything over 32GB is too large. Special tools exist to format them with FAT32, and some people report success up to 128GB, but my SanDisk SDXC 64GB microSD just won’t work. The GDMENU makes it all worthwhile. 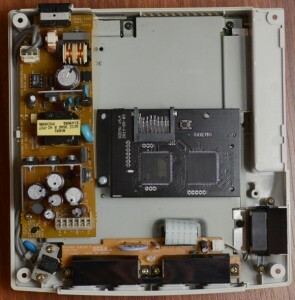 The only real downside is that the SD card slot is inside the Dreamcast, and while it’s easily reached through the open lid, the design of the GDEMU PCB means that lining up the card is a fiddly affair. Setting up the disc images is easy enough, but you have to be aware of the specific requirements of the GDEMU. It will ignore long filenames, so everything has to adhere to the ancient DOS 8.3 (filename.ext) scheme, every game needs to be in a numbered folder (01, 02, 03 etc) and every game image needs to be called disc.gdi or disc.cdi, depending on the format used. There’s a Windows utility to make this easier. 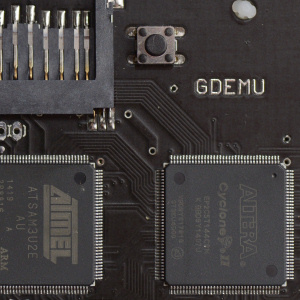 tl;dr – The GDEMU is a great addition to your Dreamcast, making multi-game loading a Real Thing. It doesn’t make your system region-free or fix the video output or solve the voltage problem, but it’s still awesome and it’s got me playing Dreamcast again, which is no bad thing. It’s not hard to reach, but it’s tricky to insert the SD card. Previous Post I demand to know.